This kitchen makeover has it all! 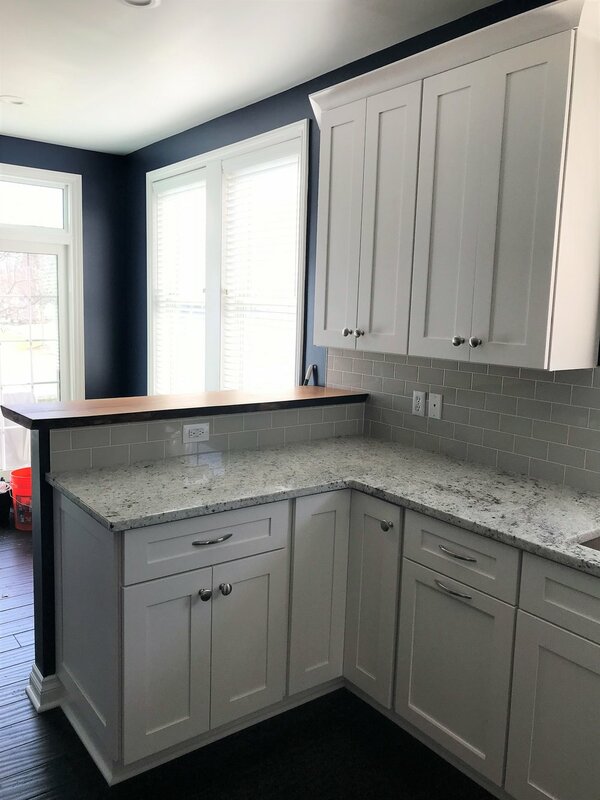 The white polar shaker style cabinets flow well with the white mocha granite. The grey subway tiles tie into some of the subtle tones in the counter tops to draw out the details in the granite. Spicing up the area with the blue wall color allows for the cabinets & backsplash to really standout! Notice the live edge bar top, it adds a unique stylish design feature for a relatively low price.